Mumbai: Svatantra Microfin Pvt. Ltd. is a new-age microfinance institution, known to offer affordable financial solutions to rural women. 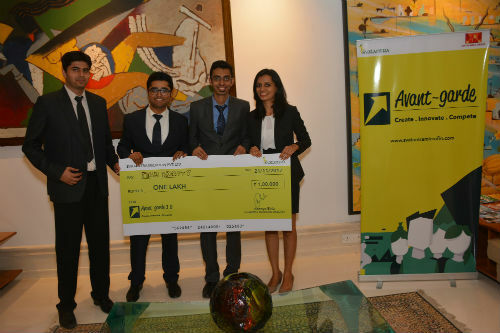 With a view to spearhead financial inclusion further and continue its outreach to the youth, the company organised its annual case-study competition – Avant-garde, now in its third year. Avant-garde aims to provide a unique and challenging platform to the students, who in return offer disruptive ideas to overcome real life challenges faced in the microfinance sector. This year the challenge was to build a healthcare insurance product for the rural households, thereby impacting the social and economic sustainability options of the stakeholders. The winners from IIM Kozhikode were awarded INR 200,000 and a PPI with Aditya Birla’s Leadership Program. The runners-up from XLRI received INR 100,000 and a PPI with Aditya Birla’s Leadership Program. Speaking about the competition Ms. Ananya Birla, Founder and Chairman of Svatantra Microfinance and Co-Chairman of ASSOCHAM Microfinance, “This is our third year hosting Avant-garde and we are very happy to see such a fantastic response in participation by over 900 students, from 20 top-ranked business schools across the country.